Heraclitus stated "The Only Thing That Is Constant Is Change -". We all know this is so true. Even in modern times, we can see the big difference between now and 20 years ago or even more recent times. Sometimes, change can actually create chaos or the unwillingness to accept change could be detrimental. 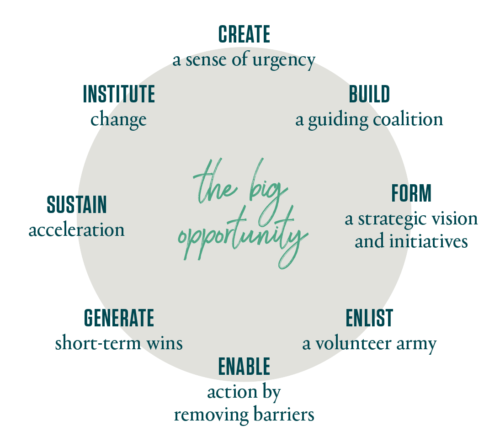 It would be great to get out front with a good system that enables real change in a systematic way and enables a win-win scenario in any given situation. One good framework that can be very helpful is the Kotter 8-Step Process for change management. How would you like to have a landline phone and not worried about the extra monthly bill? Well, this is possible today with various options (the assumption here is that an Internet service is in place). My preferred approach is the following. 5. Connect things up and now there is a working home or business phone.. This may not be valid to get emergency services, so make sure to validate that..
​The other benefits would be for businesses or individuals outside North America that would like to communicate with businesses or individuals frequently. This could be done for free and those in North America can call this number for free without any issues with dial codes and long distance cost. Alternatively, Magic Jack is another option for setting up a cheap home or business phone service (learn More).. Enjoy the new service and share your experience with us..
Computing with a Single Device? - Especially a Smartphone? I have always been a fan of having a single device for basic computing needs. Practically, its not too hard to do this with a Phone in a desktop scenario or a tablet with a keyboard case. an example is the Clamcase for Ipads or the Samsung Dex Dock. For using a phone in a laptop setting, it becomes a little more challenging. There are two products that seem to have make it to the commercial stage. Those are the Mirabook and Sentio Superbook. These are very promising and useful but they still require a cable connection to the laptop shell. What if we could have this done as wireless or incorporate the phone seamless into the laptop? 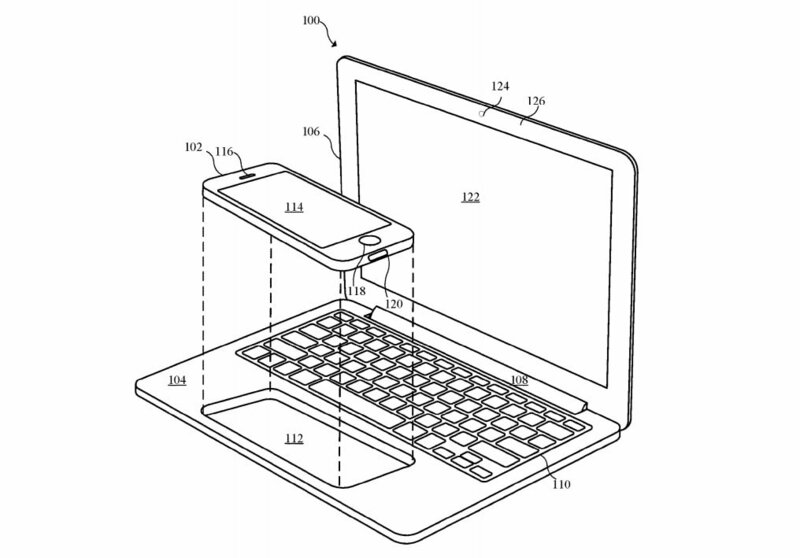 Find out more on this concept from Apple on Engadget. Considering the Wireless option, we know that Bluetooth is simple for Keyboard and Mouse. It seems then that the display aspects could be the challenge but with Miracast and Chromecast, it should be possible to mirror the display wirelessly to a laptop style device. This means, one could have the phone close by and still be productive as a laptop. Be able to take calls easily without having to unplug the cabling. The argument could be made that with Laptops so cheap; what is the point of doing this? Well, it's very possible to make this device cheaper than a comparable laptop. For example, the new Iphone Xs just released 9/12/2018, is very powerful and cost roughly US$1000+. Therefore, buying a laptop shell for US$300 or little more could still provide a premium experience much better than a regular $300 laptop. Also in emerging markets, it could also lower the cost to have productive computing capabilities since the prices could be contained. Alternatively, one could make there own solution using an older laptop shell - See example with Macbook Mod. Lets hope creativity steps in here. What do you think of this concept? Will Electric Aircraft and Flight dominate in few years? According to singularity hub, the power density of electric engines are way too small to compete with Jet Fuel currently. Quoted "In much the same way that early experiments with motor vehicles involved electric and gasoline-powered vehicles, electric flight also has a long history. Electric cars accounted for a third of all car sales back in 1900, figures that are only now starting to be matched in countries like Norway. Several airships were electrically powered, with the Tissandier brothers in 1883 flying an electrically-powered dirigible before the Wright Brothers’ glider took to the air.However, an electrically-powered airplane was a very different proposition. The key problem is energy density. It’s not hard to see why this is a problem. The energy density of jet fuel is around 43 MJ/kg, or 12,000 Wh/kg, which is nearly twice that of coal and three times that of wood. Compare this to a classic lead-acid battery, which has an energy density of around 30 Wh/kg." As we know research will continue along this path to find practical solutions especially for the short haul and personal travel. Read more. What do you think of these challenges? share your views. 2017 was the first year in which smartphone unit shipments didn’t grow at all. As more of the world become smartphone owners, growth has been harder and harder to come by. The same goes for internet user growth, which rose 7 percent in 2017, down from 12 percent the year before. With more than half the world online, there are fewer people left to connect. People, however, are still increasing the amount of time they spend online. U.S. adults spent 5.9 hours per day on digital media in 2017, up from 5.6 hours the year before. Some 3.3 of those hours were spent on mobile, which is responsible for overall growth in digital media consumption. Despite the high-profile releases of $1,000 iPhones and Samsung Galaxy Notes, the global average selling price of smartphones is continuing to decline. Lower costs help drive smartphone adoption in less-developed markets. One of the best methodology available for product innovation is called the "Blue Ocean Strategy". In order to reduce trial and error with moving things forward the following is noted "Ninety percent of businesses fail within ten years. In almost any other context, that would be a shocking statistic. But it’s something the entrepreneurial community seems to accept as standard. If you want to minimize the randomness and trial and error in creating new market space, follow these five systematic steps so that you maximize the chances of hitting the bulls-eye." As we all know, SDN has carried the buzz in networking for the last 5 years or so. One of the communities that emerged early was Opencontrail started by Juniper Networks. While there is a lot of interest from Telcos and some enterprises, Opencontrail has very little vendor inputs since it was seen as a Juniper dominated community. However, that should change with the community now part of the Linux Foundation and having a new name "Tungsten Fabric". Here is the release from SDXCentral.com. The OpenContrail open source network virtualization platform, previously hosted by Juniper Networks, has completed its move to the Linux Foundation. And it’s got a new name — Tungsten Fabric. Randy Bias, VP of technology and strategy at Juniper Networks, said, “We went through a long process to figure out the name.” But ultimately the group chose “Tungsten Fabric” because tungsten is a very strong metal that’s unlikely to break down even as part of a fabric. In fact Juniper’s decision in December 2017 to move OpenContrail to the Linux Foundation came after criticism that the code wasn’t really that open. Here comes Stratum which is an evolution of switch data plane management. This approach leverages P4 and moves away from the classic OpenFlow protocol. Here is what the ONF says of the project "Stratum is an open source project to develop a reference implementation for white box switches supporting all next generation SDN interfaces. It will provide a silicon-independent switch operating system that allows a switch to be controlled by a local or remote Network OS (NOS) via P4, P4Runtime and OpenConfig." Ran into this exciting new Robotic solution for building which significantly reduces the time taken and effectively reduces cost as well.